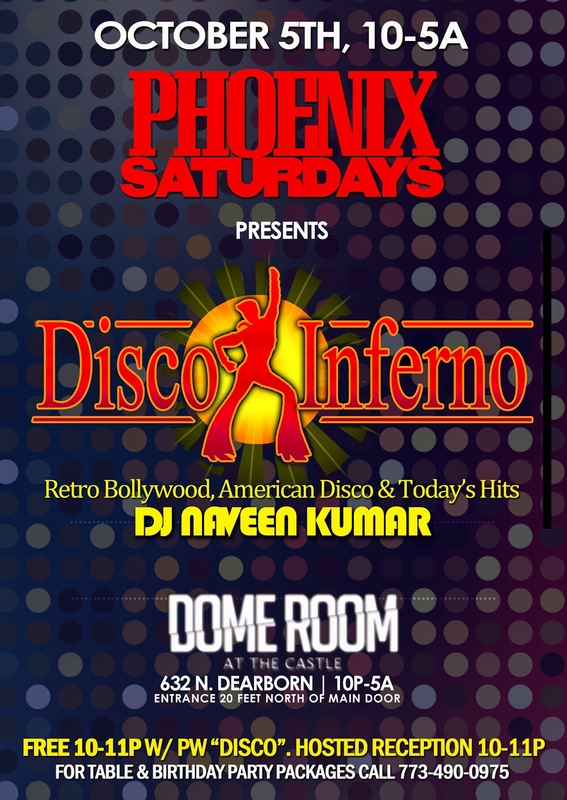 ABCDchicago: Phoenix Saturdays presents DISCO INFERNO! 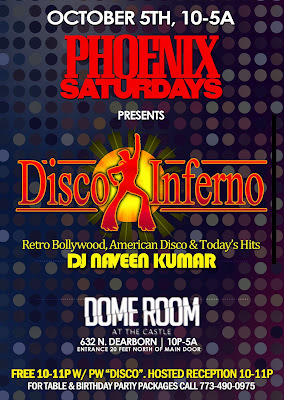 Phoenix Saturdays presents DISCO INFERNO! Free Entry 10p-11p w/ password: "DISCO"
10/12 - DJ Shadow Dubai for 1st-time! 10/26 - Halloween Bash w/ India's DJ Nawed Khan! Call 773-490-0975 book groups, tables, and to host charitable events. Entrance is 20 feet north of main Castle door. Do not wait in the Castle line on Ontario.